Rep. Susan McLain (D-Hillsboro) is drafting a bill for the 2019 session that would allow limited testing of autonomous vehicles. The bill, she says, is modeled closely on legislation in California and Washington. Uber and other technology companies want to step on the gas. McLain says the bill will “remain silent” on commercial deployment—selling the cars to the public. That’s something the industry explicitly asked for in earlier discussions. McLain’s bill is based in part on recommendations submitted in September from the Oregon Department of Transportation’s autonomous vehicle task force. The group of 33 industry and government representatives recommended that the state establish a framework for testing, but hold off on deployment. The committee members voted unanimously, but they remained far from agreement. Many submitted public comment letters clarifying their positions. A schism between tech and active transportation advocates was evident in the comment letters. The League of American Bicyclists, a national nonprofit advocacy group, alluded to an Uber driverless car killing a woman walking in Tempe, Arizona in March as reason to put on the brakes. The Technology Association of Oregon played down the incident, commenting that “only one person was killed,” by an autonomous vehicle, while drunk drivers kill around 28 people per day. In his letter to the task force, Uber spokesman Jon Isaacs expressed concern that Oregon is “falling behind” other states in developing autonomous vehicle policy and wrote that a testing-only policy would have “limited utility.” He wrote that the tech industry’s views were underrepresented with four of the 33 task force members, and that they would not support a bill that doesn’t spell out a path to deployment. Joanie Deutsch, executive director of TechNet, a national network of technology CEOs, warned that a testing-only policy might not lead to testing at all. Nine states already authorized deployment, Deutsch noted, so companies might just test in other states with friendlier legislation. Sometimes, Deutsch wrote, “the greater good demands cautiously taking an action that is not strictly consistent with the law.” Basically, advance technology first and the law will catch up. McLain said she’s continuing to meet industry to address their concerns. The testing legislation, she says, will eventually lead to deployment, but the process can’t be rushed. Deployment would require amending 26 state statutes and would take at least five years. In the rush to deployment, some user groups are getting left by the roadside. In another public comment, bike and walk activists called out the Oregon Department of Transportation for pressing ahead without representing the interests of vulnerable road users. While Uber complained about having only four tech representatives on the task force, bike and walk groups were left with exactly zero. Despite a host of organizations—Oregon Walks, the Community Cycling Center, Bike Portland—expressing interest, none made it on the roster. “The Pedestrian/Bicycle/Vulnerable Road user viewpoint is missing in every material packet presented on the ODOT website,” wrote A.J. Zelada, a board member for the League of American Bicyclists. Zelada noted that driverless cars behave erratically around people walking and biking. In San Francisco, researchers found autonomous vehicles exhibited four of the five driver behaviors most likely to endanger vulnerable road users. In Pittsburgh, a bike advocacy group recorded a number of near misses. Unions and trade groups also cautioned against rushing autonomous vehicle legislation. The Oregon AFL-CIO testified about the impacts on the 70,000 workers in the state’s transportation industry. Todd Spencer, CEO of the Owner-Operator Independent Drivers Association, a nonprofit that represents commercial drivers, wrote that, “a hurried and misguided introduction of AVs” would prove unsafe and threaten the jobs of 3.9 million people with a commercial driver’s license. If driverless cars take the wheel, drivers will need workforce training to transition to other roles. Planners have dubbed the driverless car revolution a “heaven or hell” scenario. It might either create a network of shared vehicles that clears the road of unneeded cars, or it would create privately owned cars that circle all day instead of paying for parking, and ferry their owners for untold miles. The Portland Bureau of Transportation estimates that shared driverless cars would contribute to a 4-43% rise in miles driven, and up to a 16% boost for transit trips. Privately owned cars would mean a 12-68% increase in miles travelled, and a drop in transit ridership of up to 43%. Countless questions remain. Who’s liable when two driverless cars collide? How should police stop and ticket them? How can we ensure low-income people have access to the technology? Besides listening to the task force conversations, McLain says she’s read more than 75 articles on all of this, and that’s why she’s taking it slowly. As the 2019 session draws closer, McLain and other legislators are navigating sensitive terrain. They must clear the road for innovation while keeping the necessary stop signs in place. They face mounting pressure from the tech industry as they sort through enormous legal complexity. We love tech but don't downplay the impact of technology, nor it's future, in the lives of Oregonians. We also love reporting that uses quotes in context. In that spirit, here is the full letter that was submitted by the Technology Association of Oregon to the AV Task Force in August of 2018. The TAO is a technology trade association that seeks to establish Oregon as a world-class, inclusive innovation-based economy. We work with over 470 tech and tech-enabled companies in Oregon, ranging from some of the largest technology companies in the world to early-stage startups. 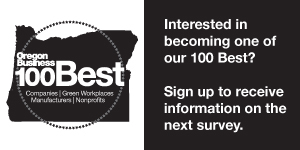 We have offices in Eugene, Bend, and Portland and offer services around the state. Our programs focus on helping companies to grow and remain competitive, and we have a particular emphasis on inputs to growth such as talent, capital, and the business environment. AVs will improve safety on the roads – computers don’t text, drive under the influence or get distracted. AVs will also improve mobility options for those with disabilities. Having AVs on the road and in use will also reduce congestion and improve the commute for all those on the road. The last full task force meeting focused on testing recommendations where it was declared that the focus of the proposed regulations was to be testing, not deployment. This is problematic for several reasons. One, self-driving cars are here. Already millions of miles have already been driven by AVs. During the course of testing only one person has been killed by a self-driving car. Contrast this with national drunk driving statistics that state that 28 people a day die from drunk driving. Additionally, there is no shortage of places across the country to test, Oregon is behind. If Oregon wants to get ahead, it needs to encourage deployment, not resist it. Moreover, recommendations for deployment can be developed quickly, even absent additional federal guidelines. Other states including both Washington and California have already developed a regulatory structure for deployment and present a guide for Oregon to follow. Finally, we are concerned that despite the large size of the task force, that industry experts and practitioners with deep knowledge of the issues at hand are underrepresented. For example, two of the four subcommittees do not have any members with backgrounds in technology. Adding representatives with a strong understanding of the technology will facilitate progress on deployment recommendations. Our view is that adopting testing regulations alone is insufficient. The task force ought to also adopt regulations paving the way for commercial deployment.